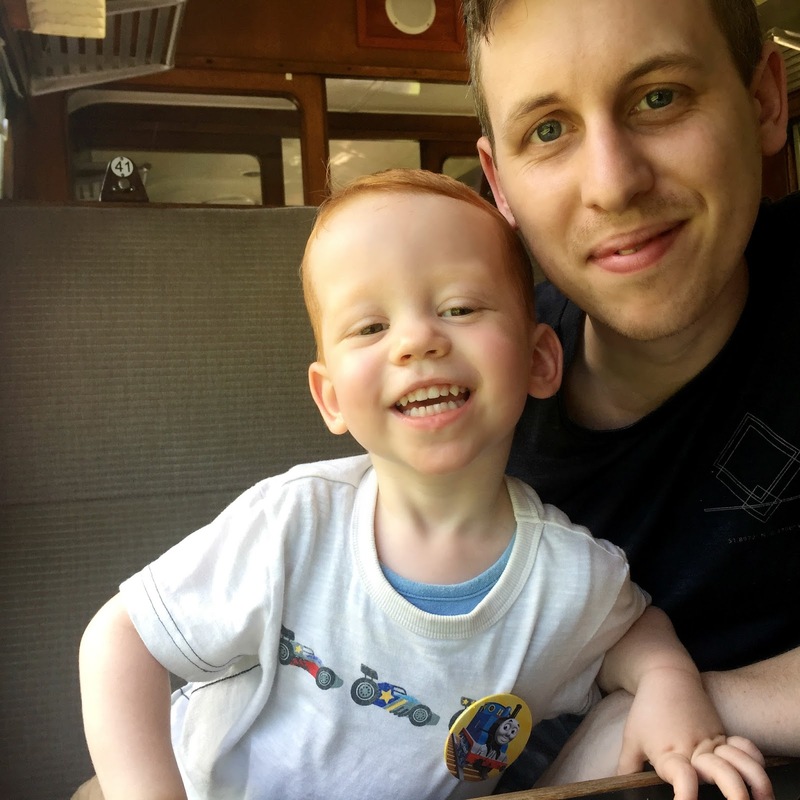 For Father's Day this year we decided to do something a bit different and we treated Matt to a lovely Steam Train ride at the local Chinnor Railway - an activity which proved to be fun for the whole family! 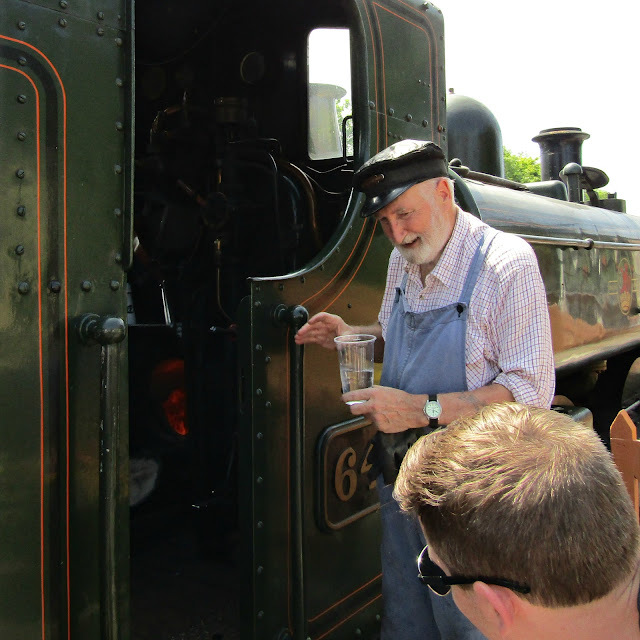 The railway is run by volunteers and is open for weekends and various special events throughout the year. 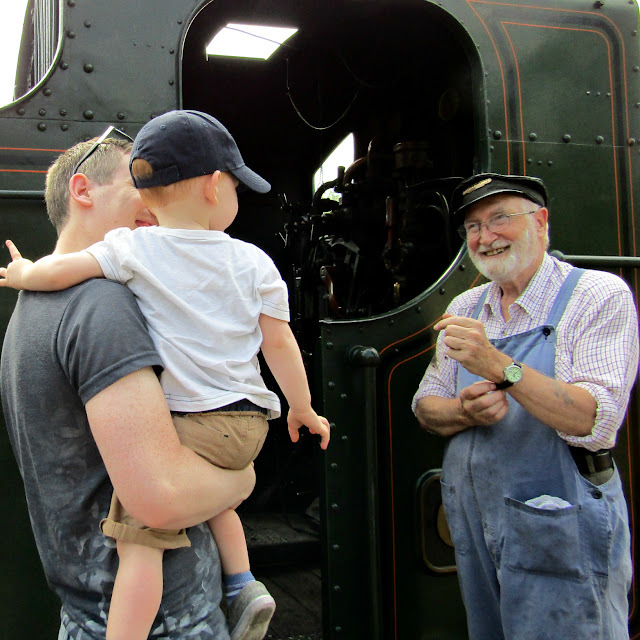 On Father's Day all Dads go for free which meant that for us as a family it only cost us £17 for the round trip to Thame and back. Usual prices are still reasonable and tickets can be bought ahead online. 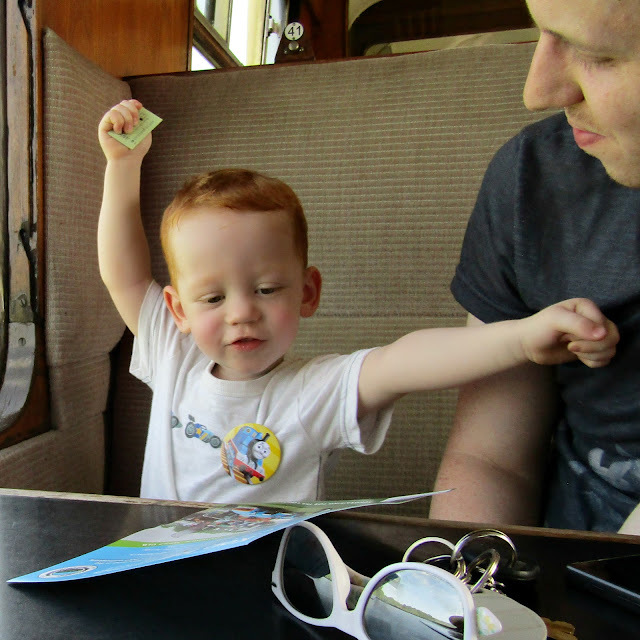 However, Lily loved going with Daddy to the ticket booth to purchase our vintage-style ticket tokens for 'third class'. 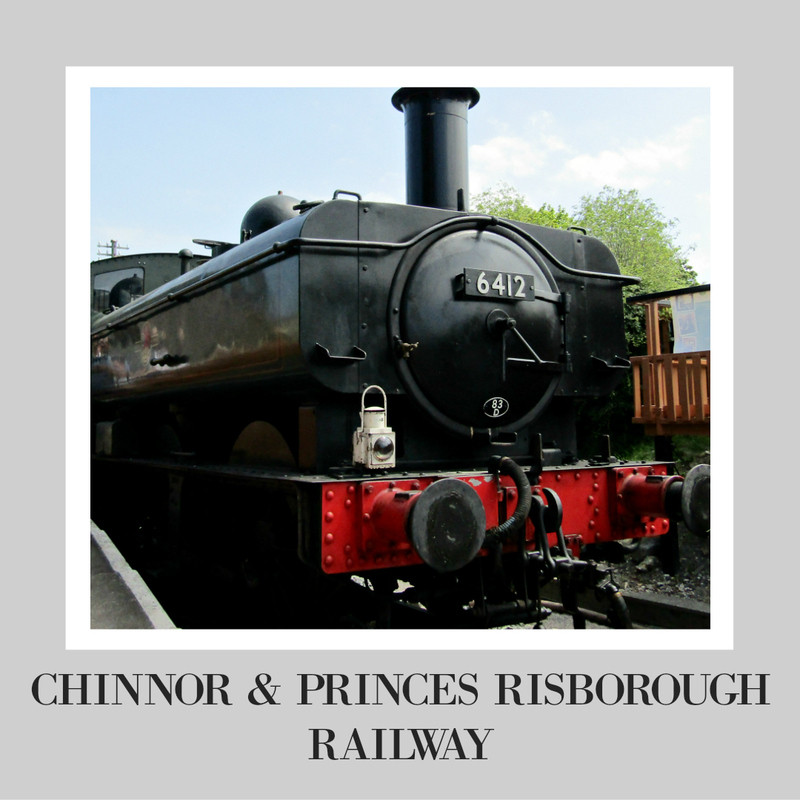 Getting to the Railway is easy - it's well sign posted as you enter Chinnor with plenty of parking. 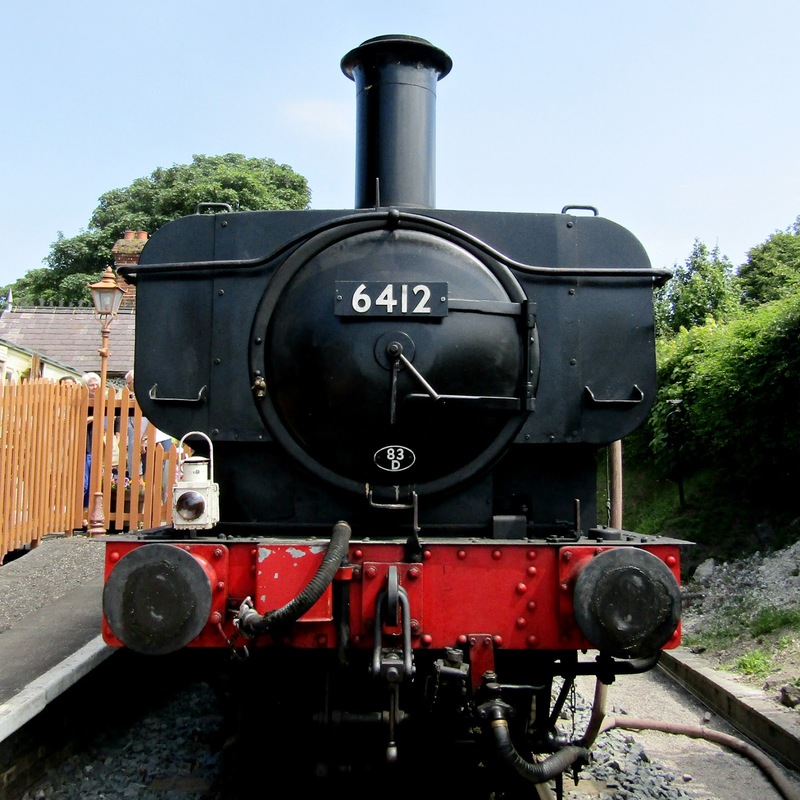 We arrived for the first train of the day at 11:00 and had plenty of time to explore the station, visit the gift shop and grab a slice of cake at the charming Cambrian Tea Room - an old carriage that has been renovated as a little cafe serving drinks and snacks. The station was delightfully set up and restored. It was so easy to feel as if you'd slipped back in time! The gift shop had a small collection of gifts and souvenirs and was reasonably priced. We boarded the train and found some seats together easily. 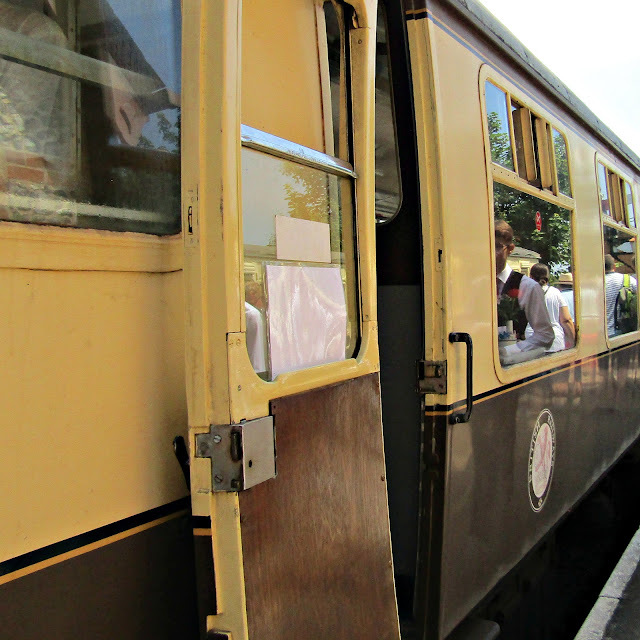 Although our carriage was full at departure, it didn't feel overly busy or at all noisy. You could see easily out of both sides of the train but we sat on the side closest to the platform and I felt this was a great choice as we could see out at the cricket club which was pretty cool. Of course, there was no air conditioning but having the windows open whilst we traveled allowed a light breeze. It was very hot and I was glad for bottles of water! There was a refreshment trolley that worked it's way down the train selling a range of hot and cold drinks, biscuits and even some ale for the Dads! The journey to Thame and back takes about 45 minutes and I felt like it passed quite quickly. 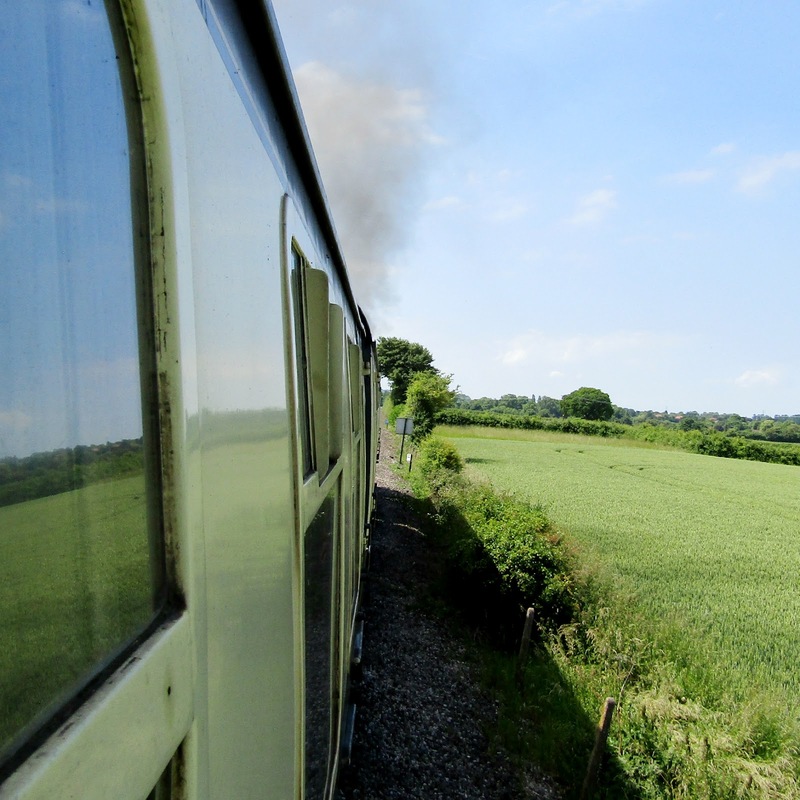 The train passes through beautiful Chiltern countryside, passing fields with cows, sheep and horses as well as a Cricket Club (complete with waving Cricketers) and the back gardens of picturesque English cottages. 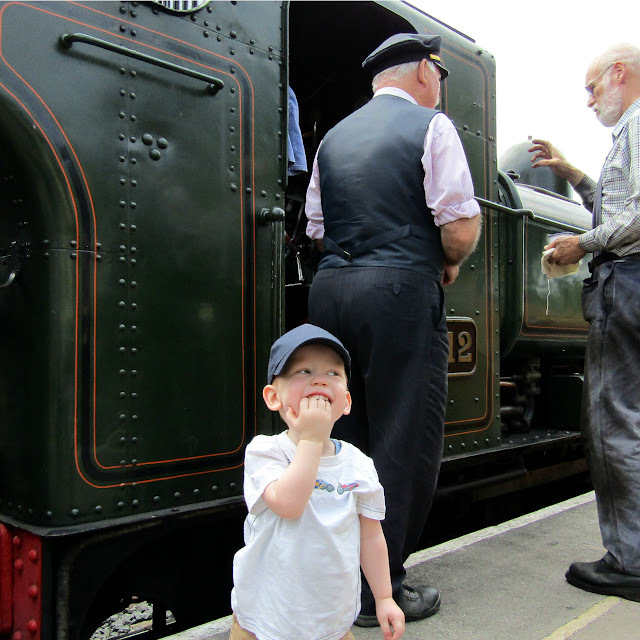 Ollie was in his element: excited with every single whistle from the engine, fascinated by the smoke flying past our window and the soot blown in. 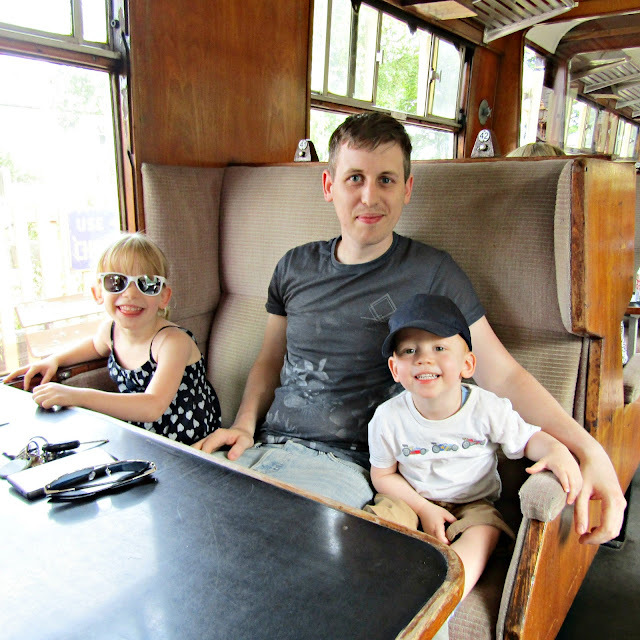 The ticket conductors were incredibly friendly and the kids loved having their tickets clipped. It was only when we pulled back into the station at Chinnor that Matt suggested it may have been better to get the second train - just so we could enjoy the wonderful sight of the train coming into the station platform! Definitely something to bear in mind the next time we visit. It was a lot busier as we were leaving with plenty of people bustling about on the platform and more arriving to park up outside. We had so much fun that we know we'll certainly be heading back there again. 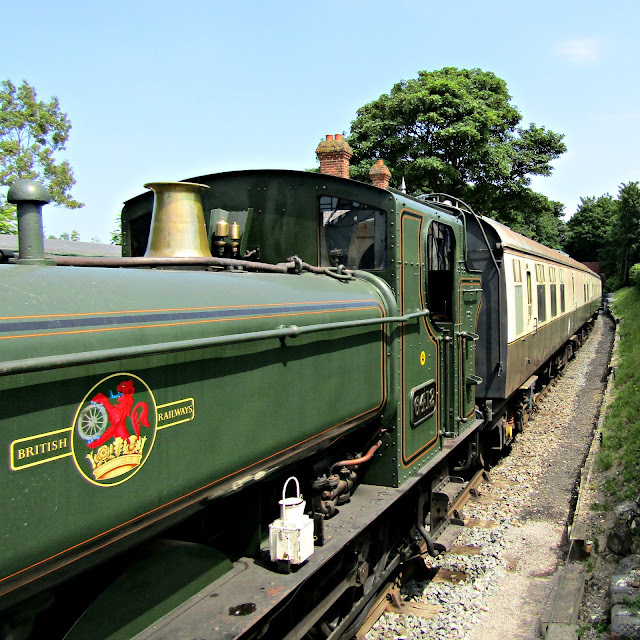 Later in the Summer they have a special offer on Children travelling for just £1 and there are some fabulous options for Cream Teas and Murder Mystery evenings. 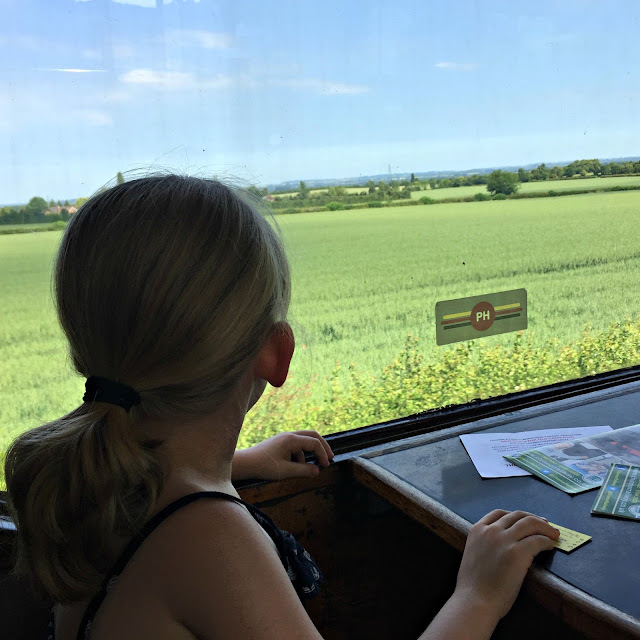 I wouldn't hesitate to recommend the railway to any families looking for something to do one weekend as well as enthusiasts and tourists.It was a great experience so put your phones and tablets away and enjoy some stunning countryside in style!